In 1999, Blaine spent one week buried alive inside a clear coffin in New York City and the following year stood inside a six-tonne block of ice for 63 hours with no food or sleep. In 2002, again in New York City, the magician spent 36 hours standing on top of a 30-metre tall pillar with no safety net. 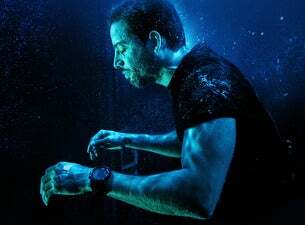 Similar to Real or Magic, his latest special Beyond Magic which aired in 2017 also featured David performing tricks on celebrities. Plus, on the show David was featured in a stunt in which he catches a bullet using his teeth, from a gun that he fired himself. The stunt was performed in front of a live audience at New York City’s Madison Square Garden. Now the revolutionary magician has confirmed he's bringing his first ever tour, the Real or Magic tour, to the UK this June.